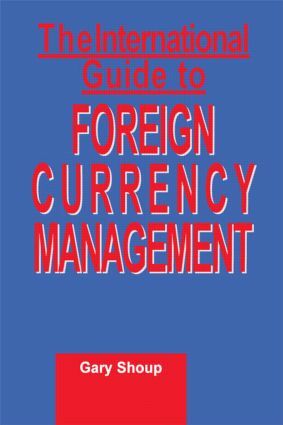 Financial managers rarely find a one-stop source for a complete course in currency management. Expanding on his work, Currency Risk Management, Gary Shoup builds a practical foreign currency management program. This extensive text covers everything managers and their consultants need to implement a program, from trends in exchange rates to understanding pricing determinants. He discusses in detail the market for currencies, price forecasting, exposure and risk management, managing accounting exposure, and managing strategic exposure.